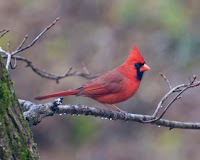 I have been enjoying watching the critters at my feeders and in the back yard. 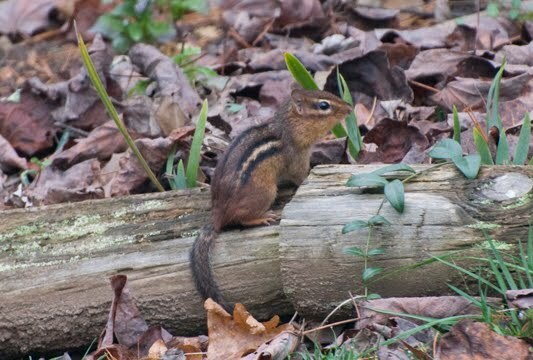 Lately, I've seen a cute little chipmunk grabbing fallen sunflower seeds below the feeders. 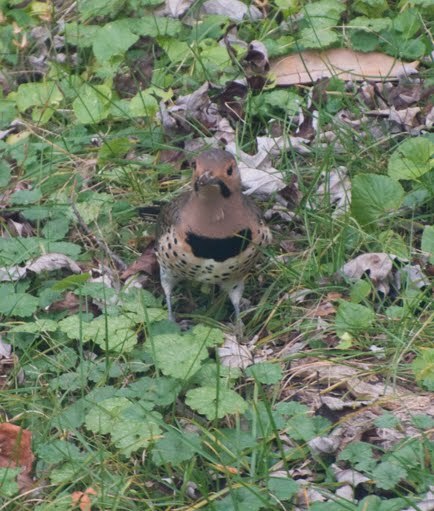 I managed to snap a shot of this little guy just before he (or she?) scurried off. A groundhog munched leaves in the backyard in order to add on some more fat to get it through its winter sleep. Another related rodent, the gray squirrel, kept me laughing as it went through some pretty acrobatic maneuvers to raid the feeder. It is amazing that they can hang by their "toenails" like that! There have been lots of birds visiting our yard too. 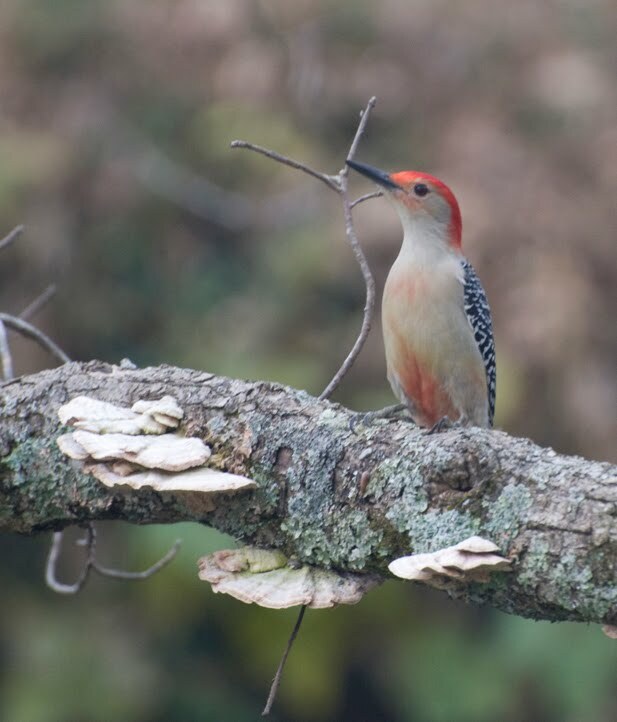 Yesterday I saw a Yellow-bellied Sapsucker woodpecker, Golden-shafted Flickers, Cedar Waxwings, Robins, Cardinals (right), Titmice, Chickadees, Goldfinches, Nuthatches, Carolina Wrens, Bluebirds and Red-bellied Woodpeckers (left). It is not hard to see why these birds are called "Red-bellied" when you see this picture. Isn't he handsome!? This birdfeeder is just ~15 feet from the piture window in our living room. 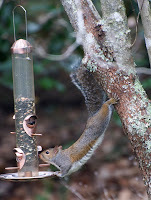 It is fun to watch the activity as the birds (and sometimes squirrels) come and go. 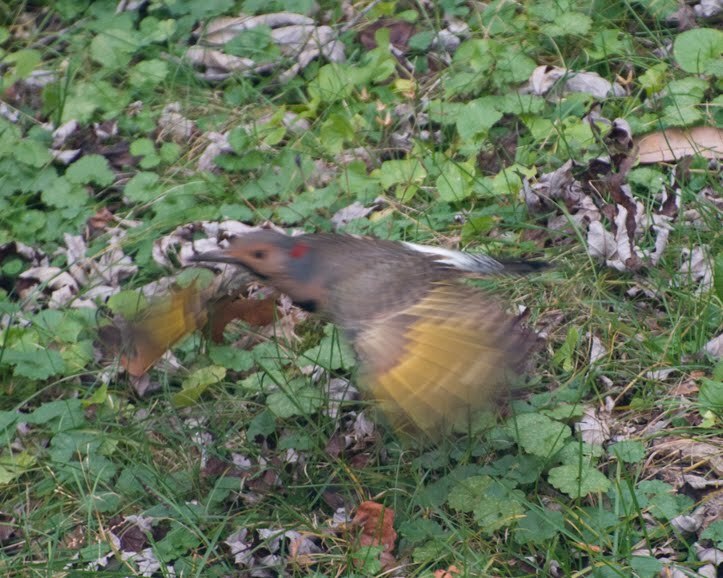 Male Golden-shafted Flickers look like they have a fumanshu (sp?) mustache! 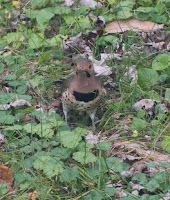 I saw this g uy hunting in the grass outside my dining room window. 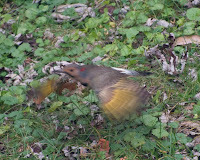 As I was taking photos he decided to take off! The golden color on the wing feathers is not visible until they fly. I hope all of my readers have a very happy Thanksgiving!